Veterans Day Ceremony – Sat. Nov 11 – The Veterans Memorial Center (VMC) in north Brevard County is where keynote speaker Army Col. Danny McKnight (ret.) will share a Veterans Day message. 9am-10am at the VMC, 400 S Sykes Creek Pkwy, Merritt Island, 32952. Info: www. veteransmemorialcenter .org 321-453-1776. 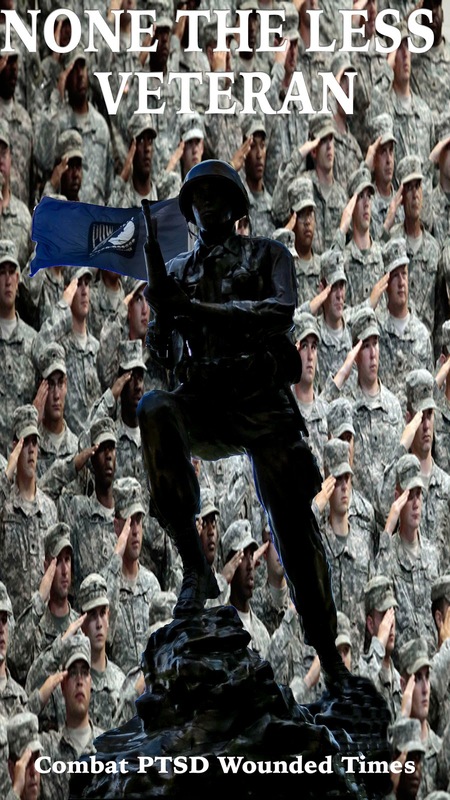 Veterans Memorial Service in North Brevard County – Sat. Nov 11 - The Military Order of World Wars Space Coast-Indian River Chapter will hold the 35th Annual Veterans Memorial Service and Massing of the Colors on the Eastern Florida State College (EFSC) Cocoa Campus. The 3 pm ceremony at 1519 Clearlake Rd, Cocoa, 32922, in the George F. Schlatter Veterans Memorial Amphitheater. Free and open to the public. The moving, patriotic ceremony honors those who have given their lives in service to their country and pays tribute to those currently serving. This year’s featured service is the U.S. Air Force. The keynote speaker will be Col. Steven M. Gorski, Commander of the Air Force Technical Applications Center (AFTAC) at Patrick Air Force Base. Info: Suzanne at EFSC at 321-433-7022. Veterans Day Weekend Open House, Sat & Sun Nov 11 and 12 - The Valiant Air Command Warbird Museum will provide free admission to the museum for all military, active or retired. Also, ALL Florida residents will be admitted free – but please bring a non-perishable food item. Events include flybys, collection of vintage aircraft, plastic modelers and radio controlled modelers, and the opportunity to speak to former combat pilots. Car Club exhibits. (If you have a classic car that you would like to show on Saturday and/or Sunday, please contact the museum.) 9AM-5PM, Saturday and Sunday. Food and refreshments will be available for purchase. Space Coast Regional Airport, 6600 Tico Road, Titusville, 32780. Info: www. valiantaircommand .com Warbirds@ valiantaircommand .com 321-268-1941. Astatula’s 1st Veterans Day – Sat. Nov 11 - Country music artist Rodney Atkins will be the headline entertainer at this event. He has had six number one songs on the country music charts. Also present will be Rob O'Neill, a highly decorated SEAL and retired special forces operator with over 400 missions. 11am – 11:30pm at Central Florida Motorsports Park, 24200 County Road 561, Astatula, (Lake County) 34705. $10 advanced gen. admission before Nov 1, then $15; $100 VIP tickets; Vendors available. Tickets at Eventbrite. 6th Annual Orlando Marathon, Half Marathon, and 5K Races/Walk – Sat. Nov 11- Orlando Marathon race 26.2, Orlando Half Marathon 13.1 and Orlando 5K race or walk event hosted by American Legion Post 112 and Help the Vets, Inc. 4490 N. Goldenrod Rd. Winter Pk, FL 32792. A local quartet, Noteables, will sing before the event, the Anthem at 7:20 and races starting at 7:30 am. Discounts if registered by Oct 30. www. omarathon .com Info: Jim at racenut478@ aol .com 407-739-4949. Orlando Veterans Day Parade – Sat. Nov 11 – One of the largest Veteran’s Day Parades, Hosted by Mayor Buddy Dyer and his Veterans Advisory Council in Downtown Orlando. 11am – 1pm. Free! This year’s parade recognizes the invisible wounds of war. The parade includes about 100 Central Florida veterans groups, floats, pipe bands, marching bands, ROTC and JROTC units, first responders, community groups and military vehicles. Begins at Robinson St., south on Orange Ave., east on Central, the north on Rosalind Ave. The parade will be televised live on News 13, starting with the opening ceremony at 10:30 a.m. Info: cityoforlando.net/ veteransparade 407-246-3104. Windermere Veterans Monument Dedication – Sat. Nov.11 –Join members from all of the branches of the armed forces at 11am as Windermere unveils its Veterans Monument at 520 Main Street. Patriotic music and a family friendly day long event. Sponsored by the Town of Windermere and Windermere Rotary. Info: Gary Bruhn at windermeremayor@ yahoo .com 407-876-1732. Osceola County Veteran’s Day Parade – Sat. Nov 11 – 10am start time. Floats, bands, color guards and more. Forms in the Osceola Courthouse parking lot (Rose Ave. and Patrick St.) and travels down Main Street in Kissimmee. Children’s Parade will form in front of the Kissimmee Police Dept. Prizes for Best band, Best unit, Best float. Sponsored by the Osceola County Veterans Council. Info: Wilfredo “Fred” at 407-520-7646. 13th Annual USO Benefit Ride – Sat. Nov 11 - Orlando Harley Davidson South, 7786 W Irlo Bronson Memorial Hwy (aka US 192), Kissimmee, 34747 (abt 3 miles west of I-4) Central Florida's largest motorcycle fundraising event in support of our military personnel and the USO Care Package Program in association with the Greater Jacksonville Area USO. Police escorted ride. Registration 8:30 am to 10am/ Ride departs 1030am. Motorcycles NOT required. After party 12 - 3 pm. Silent auction, raffles, lives music, continental breakfast, delicious lunch, vendors. $20 per rider, $10 per passenger - each registration covers the cost of a USO Care Package to be sent to a deployed member of the US Military. 1047 Steps for the Vets - Veterans Day Bridge Walk - Sat. Nov 11 – 3rd annual event hosted by The Rock of Daytona (WROD 104.7FM) and Veterans Support Fund at Granada Bridge, Ormond Beach, 32174 in Volusia County. 6am – 6pm at Cassen Park, 1 South Beach St. Come walk, sponsor a team, make a donation or just cheer the walkers on. Stay for a few minutes or a few hours... The first 100 walkers who donate at least $20 will get a FREE Bridge Walk T-shirt! The Rock of Daytona Crew will be walking 1047 steps for every $104.7 donated, with all the proceeds going to the Veteran's at the Emory L Bennett Veterans Nursing Home. Freedom Mortgage and Caton Hosey Insurance are sponsors for this year’s walk. Info: www. therockofdaytona .com 386-253-0000. Volusia County Veterans Day Parade – Sat. Nov 11 –Honoring the sacrifices of all veterans and their families in a daylong celebration in historic downtown DeLand. Opening ceremony at 9:30am on Indiana Ave, Parade beginning at 10am-12noon with military vehicles, marching bands and patriotic floats on Woodland Blvd. Info: MainStreet DeLand Association, 386-738-0649.